It’s no secret that gardens require a lot of water, especially when we don’t get the rain that’s needed. Whether we get drought conditions this year again or not, finding ways to use less water is a good idea. It saves you time when you can water less and it saves you money on your water bill. Plus you will get more vegetables from your garden. By the way, these methods make gardening a lot easier because you don’t have weeds to pull nor a hose to drag around. 1. Try lasagna gardening using newspaper and grass clippings to keep down weeds and provide free fertilizer. Click here for a comparison of lasagna gardening and interbay mulch gardening. Both methods work well, but people seem to prefer one or the other. 2. Use a soaker hose in your garden beds. This keeps water from evaporating like it does when you use a hand held hose. And since the water trickles in at such a slow speed the water gets absorbed by the soil instead of running off. Much more efficient. You can leave the hoses in the garden all the time and put the water on a timer if you like. 3. Add a water reservoir and/or add water holding crystals to your soil. Hanging baskets of plants require almost daily watering. To cut down on the frequency of that chore, add some shredded disposable diaper innards and mix it into your potting soil. It contains crystals that hold water and release it as the plants need it. If you don’t have diapers handy, compare the price of the cheapest package of diapers to the price of the water absorbing crystals at your garden center. 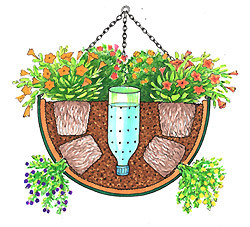 You can also make a water reservoir by inserting a 2-liter soda pop bottle upside down in the center of the planter. Use a nail to poke holes in the sides of the plastic bottles, then cut the bottom off and leave the cap on. To water the planter just fill the pop bottle with water. It will be released into the planter basket as needed working like the soaker hose does in a garden bed. This is so much better than the daily watering that often results in the water just running through the basket with little being taken in by the plants. Water when the pop bottle is nearing empty. So easy! You might want to try this method in potted plants or even in your garden bed. 4. 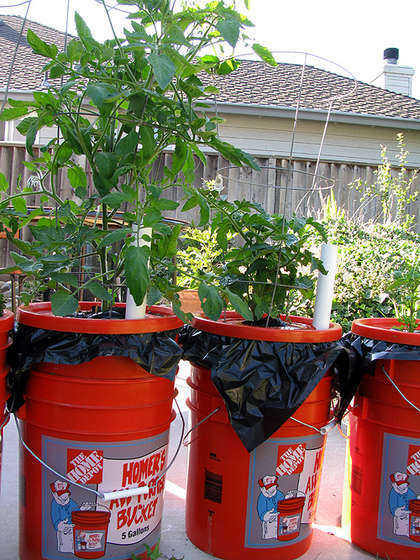 DIY Earth Boxes are easy to make using 5-gallon buckets. These are also called Dearth Boxes Click here to link to the easy directions. because you need so little water to grow plants this way. You can cover the outside of them with burlap and tie with rope/twine if you don’t like the bare naked bucket look on your deck or wherever. 5. Let rain barrels collect free water for you. You can connect a soaker hose to a rain barrel or a regular hose. You can make your own inexpensive rain barrel from an extra-large trash can. Click here to learn how at Family Handyman. Bonus: Try Hugelkultur! It uses no water at all. 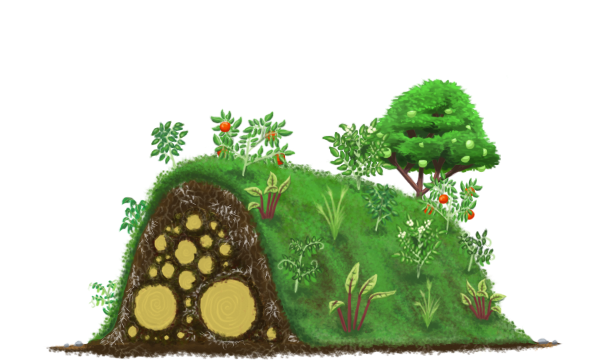 It takes some work to get it going, but in future years you can grow all sorts of things without any water and any soil preparation. Click here to learn more about this strange method that really works! If you are planting flowers or shrubs, choose those that are drought-resistant. And seriously consider zeriscaping your yard! Click on any of the tags below this post for more tips and ideas. Congratulations on the new home Jess! 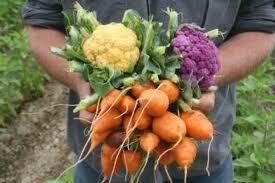 Growing some of your food will lower your grocery bills and give you a new appreciation of vegetables! It’s a learning process, so keep a gardening notebook of what you did and what worked for you. Research says gardening make you happier too, so enjoy! We are moving to a new home in the spring that has a big yard. My husband is really excited about finally being able to have a big garden and grow our own vegetables. We have already started investigating rain barrels. Seems like such an incredible solution if you have the space to accommodate them. Looking forward to yummy veggies and low water bills haha! femme, you can start with any of these and they will help! Hoping you get some good results this year!